Exactly a month back Motorola and Lenovo revealed the Moto Z and Moto Z Force in Lenovo's Tech World event . Moto Z and Moto Z Force are the first Modular devices by Motorola and Lenovo . 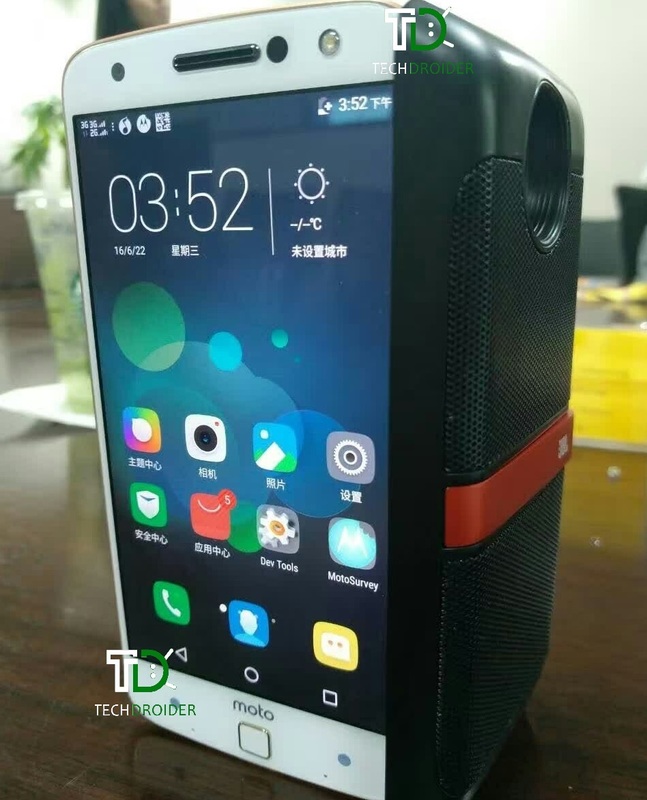 Both The Smartphone comes with Stock vanilla Android OS , but Lenovo have other plans for Market in China . As previously said , Motorola Moto Z and Moto Z Force will be coming with Lenovo's Vibe UI in Chinese Market . We Got the first image of Moto Z Running Lenovo's Vibe UI with some Moto Applications pre-installed . According to our Source , The Vibe-powered Moto Z inhabits the same Specification as Regular Moto Z . Though , The New Vibe-Powered Moto Z will come with some new Moto Application ( Moto Survey is one of them ) and dual sim capability .